The layout will largely be influenced by the size and shape of the place. You need to ensure that there is adequate space for the kitchen so that the equipment can fit and the staff can work well. At the same time, you want to maximize the dining area since more seats mean greater capacity to hold customers. You also need to think about the flow of movement within the establishment. For example, the door should be near the counter if people have to make their orders there. The tables can be on the far side away from the lines. There should be enough space between tables so diners don’t bump into each other. The furniture pieces should also be suitable for the concept. 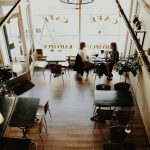 If you are offering fast food, then you can equip the place with small tables fit for individuals or small groups who are out for a quick bite. If you are opening a bar, then obviously there should be seating around that bar such as high stools. If you have a restaurant offering haute cuisine, then your customers will probably be used to a higher level of restaurant fit out. The expect tables that are isolated from others for privacy, very comfortable cushioned chairs, and impressive dinnerware. As for the décor, this should also follow the concept of the business. Think of a theme that suits the type of food being served and the kind of customers that you want to attract. It should be something that sets you apart from the rest such that it becomes another major feature of the restaurant. It could be a promotion of the culture that is tied to your cuisine or a bygone era that you want people to remember. It could be a musical genre, a certain celebrity, a famous place, or a quirky idea. Seek out advice on how you can get pieces that could reflect your vision in the best possible way. 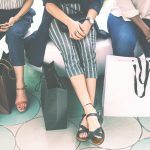 If you are considering opening a retail shop or other type of business in Sydney, finding the right products and resources will certainly be important. Of course, in addition to finding the right location for your business, you’ll also need to decide on how you will make sure that the facility is properly fitted with the necessary equipment and features that will help ensure you’re able to maximize the space and use it to its best ability. One of the best ways to make sure that your space provides the look and flow that you need for your business is to rely on professional shopfitters in Sydney. Experienced shopfitters will be able to handle everything from the planning and design to the installation of the various pieces of equipment. They will be able to provide all fit out services you need to get your business up and running. Every business is unique and will require its own special design and layout, but an experienced shopfitter will be able to work with you in order to ensure you get the commercial space your business needs. While you might have some insights and ideas on what would make the perfect fit out for your business, a professional shopfitter will be able to work with your ideas while bringing their own experience and creative touches to the process for the optimal final results. Whether it’s installing a commercial kitchen or it’s designing your new office space, a shop fitter with the expertise needed to create usable spaces that work for your business can help you increase productivity as well as comfort and safety. They’ll be able to locate where equipment, counters, and other essential features will be located, which can ensure the right flow for your employees as well as visitors. Whether you’re opening a new business or your current business is moving or expanding to a new location, making sure that it is fitted with the right equipment and layout will help create the work environment you need. Of course, a reputable shop fitter will provide expert advice regarding a wide range of options, but they’ll also be willing to work with you as you share your specific needs for your new space. When looking for the right shop fitter to help with your business facility, it’s important to not only choose someone who has expertise in this type of work, but someone who has already shown proficiency in fitting out similar types of properties. Ask questions, and if possible, view some of the contractor’s previous jobs in order to get an indication if they will be able to provide for your specific needs. There are many sectors of the economy where entrepreneurs can invest in and reap big from the booming economy. The hospitality industry, for one, is always ripe for disruption. 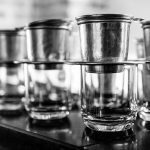 As people get used to the status quo in the hospitality industry, due to lack of continuous innovation, new players can make headwinds by taking on the challenge of providing clients with a unique experience. While entrepreneurs may have all the right ideas regarding what they want to do, they need to hire hospitality design and construction companies to actualize their imaginations, vision and dreams. What is a Hospitality Design and Construction Company? You cannot just hire any company that calls itself a HDC firm. You want to work with a firm that has proven results. For this reason, you need to check the number of years the HDC firm has been in the industry as well as the number of similar projects they have successfully completed in the past. In fact, you should ask each firm you come across for their portfolio. The good news is that most firms already have a digital portfolio on their website, so you can easily assess the quality of work they have done in the past and decide whether to hire them or not. The best contractors are those with a valid license to carry out the type of works at hand. Since there are risks associated with the HDC job, you should give priority consideration to companies that are licensed and bonded. 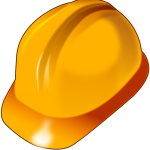 In case of delays or failure to meet project specifications, you can get compensation. Every company will quote a different cost for the entire project. It would, therefore, be prudent of you to compare the costs quoted by different firms to identify the most affordable. When thinking of cafe design there are a number of factors you must keep in mind to ensure that you get everything right. Keep in mind that the design of your joint can be key to boosting sales, promoting comfort and security. The amount of money you are going to have to spend to get the design right must be at the top of your mind. Think about the cost of acquiring the materials necessary together with any fees that you may have to pay. Once you have a figure use it to search for the right service providers to help you get the job done. It is also important for you to determine the source of the money you will be spending on this project. Some of the options available include personal savings, grants from loved ones, loans from financial institutions or partnering with investors. The design you wish to achieve can only be realized if you choose the most competent design service providers. Take the time to make a list of possible professionals in the region and choose the one that seems to have a past record of success and good reputation. The provider should be able to give you an outline of how the tasks are going to be done just so you can make a schedule that will be convenient. The last thing you want is to start the design project only to stall in the middle of it all for lack of important materials. Before beginning any work use a checklist to verify that everything necessary is available. This will guarantee that your project is completed with a relatively short period of time. Your cafe can take any shape or form you wish as long as you think creatively. Some people make their joints intimate while others design their to be family friendly. You can go through the various design plans that are readily available on different online platforms and choose the one that you find impressive. When coming up with a cafe design one of the things you wish to achieve is attractiveness to potential customers. Incorporating beautiful art designs within and outside the premises can be a good way to enhance this element. Another issue that may ensure you stay ahead of the competition is the ability to incorporate modern technological upgrades. Audio and video entertainment should be modern while things like Wi-Fi connectivity are given priority so that customers can remain loyal.